The spring loaded Quick-Clip Pannier System means that the pannier can simply be dropped onto the rack and rests on the hooks. A sprung catch captures the rack tube from underneath and prevents the panniers from jumping off. To release, the catch is operated either by the thumb or an attached strap. Thank you for your enquiry. Unfortunately the rail that these clips slide into is not available as a spare I'm afraid, its a metal rail that is fixed to Carradice bags but cannot be removed. Hi do you sell the channel which these clips are designed for? I have made a pannier from oak and leather and I am looking for a quick release method of fitting It to my rear cycle rack. The clips would be great but even better if you sell the channel too. We have Carradice Carradry Rear Panniers with the old type clips - A couple of which have broken. Can they be replaced with the quick clip system? 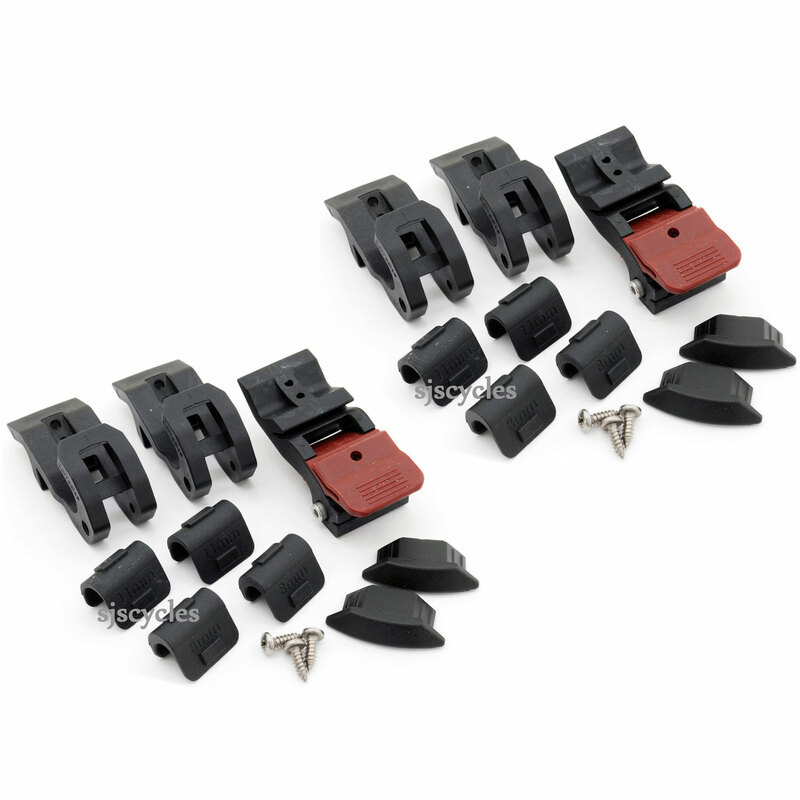 The metal rail that is on the bag should be the same dimensions so you should be fine to replace your broken clips with this Quick Clip system. Will These Fit A Birdy Expedition Rack? I'm trying to use my Carradice bags with a Birdy Expedition rack, but the rack is too thick at 16mm Will these fit on the rack rails? Unfortunately the largest diameter rack tubing these can fit to is 14mm, this is the same for all of the Carradice hooks we have I'm afraid.